UPDATE Feb 2, 2017: As a result of the City’s recent agreement with the FAA to close the airport by 2028 and shorten the runway immediately, JetSuite-X has cancelled all flights and is now refunding money to those who have bought tickets. 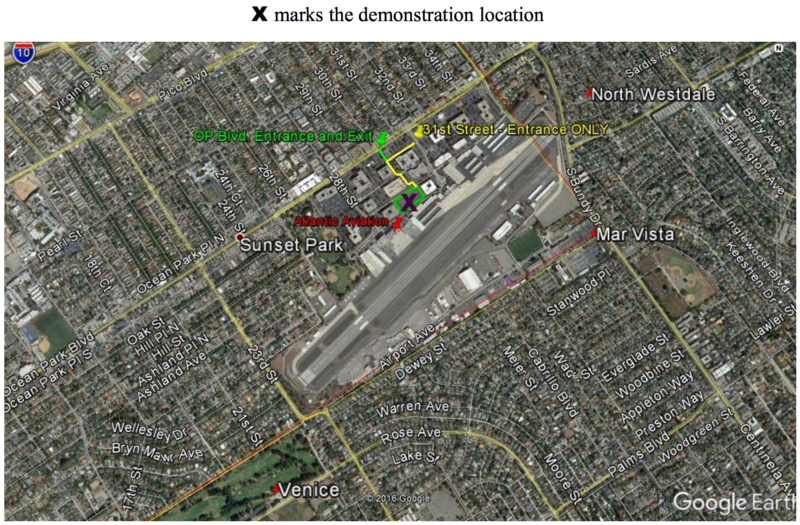 Think jets at Santa Monica Airport (SMO) are bad now? “Scheduled” flights from SMO to West Coast cities will begin on February 6, with flights to Las Vegas in Embraer 135 jets (see photo above) beginning February 10. These 30-passenger Embraer jets will only add to the on-going increase in SMO jet traffic, turning SMO into an even more unsafe “commercial” airport. Help us say NO! Everyone needs to attend! 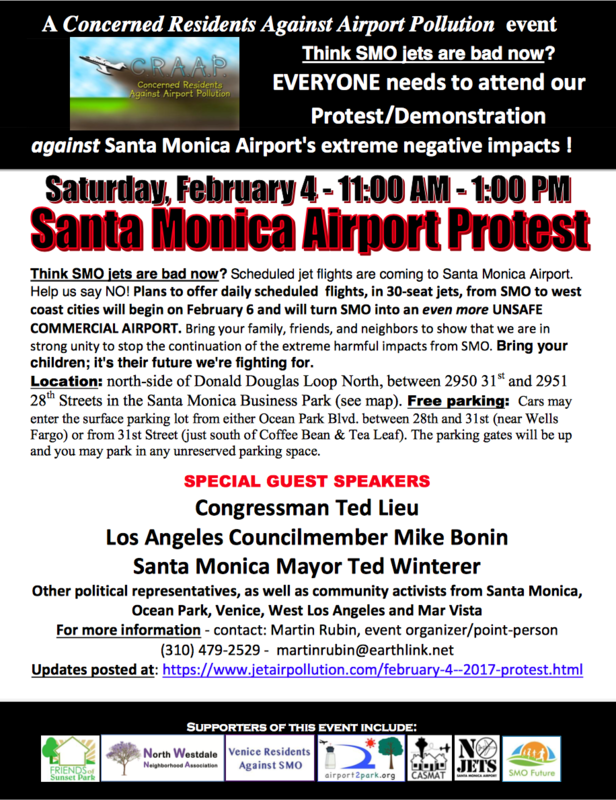 Bring your family, friends, and neighbors to show that we are unified in opposing this increase in noise and air pollution. Bring your children; it’s their future we’re fighting for. FREE PARKING: Cars may enter the surface parking lot from either Ocean Park Blvd. between 28th and 31st (near Wells Fargo) or from the west side of 31st Street (just south of Coffee Bean & Tea Leaf). The parking gates will be up and you may park in any unreserved parking space.